Createspace Independent Publishing Platform, 9781518621215, 318pp. Teenager Xandra Byrd plans one final drug drop to finance her budding skateboard career. High school principal Leah Davis returns to work after maternity leave, so stressed by the change in routine that she forgets her infant is in the car. Then both Xandra and the baby vanish. Now Detective Joe Zetts, whose own career is on the line, must solve the puzzle of the twin disappearances before the baby's mother is indicted for murder. 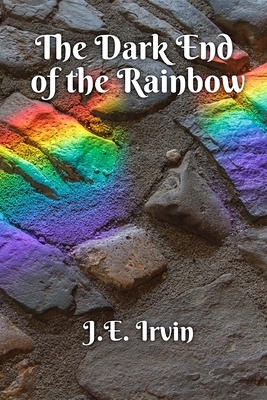 This emotionally powerful tale examines the corrosive effect of keeping secrets and the healing power of love, uniting the protagonists in a race to save themselves from falling into the dark end of the rainbow. J.E. Irvin is a career educator and award-winning author. Her stories have appeared in both print and online journals and magazines, including Alfred Hitchcock Mystery Magazine and Spark a creative anthology. Avid canoeists, Irvin and her husband live in Springboro, Ohio, on the edge of a nature park.